Edited by Maxim D. Shrayer, a leading specialist in Russia’s Jewish culture, this definitive anthology of major nineteenth- and twentieth-century fiction, nonfiction and poetry by eighty Jewish-Russian writers explores both timeless themes and specific tribulations of a people’s history. 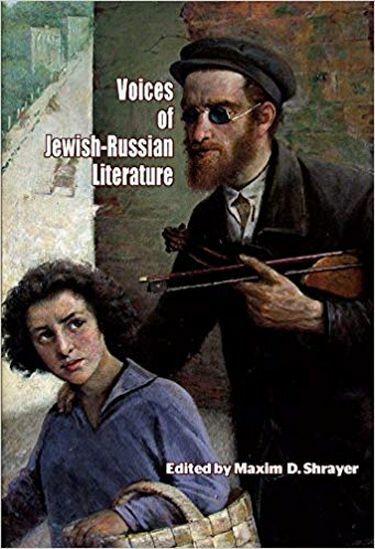 A living record of the rich and vibrant legacy of Russia’s Jews, this reader-friendly and comprehensive anthology features original English translations. In its selection and presentation, the anthology tilts in favor of human interest and readability. It is organized both chronologically and topically (e.g. “Seething Times: 1860s-1880s”; “Revolution and Emigration: 1920s-1930s”; “Late Soviet Empire and Collapse: 1960s-1990s”). A comprehensive headnote introduces each section. Individual selections have short essays containing information about the authors and the works that are relevant to the topic. The editor’s opening essay introduces the topic and relevant contexts at the beginning of the volume; the overview by the leading historian of Russian Jewry John D. Klier appears the end of the volume. Over 500,000 Russian-speaking Jews presently live in America and about 1 million in Israel, while only about 170,000 Jews remain in Russia. The great outflux of Jews from the former USSR and the post-Soviet states has changed the cultural habitat of world Jewry. A formidable force and a new Jewish Diaspora, Russian Jews are transforming the texture of daily life in the US and Canada, and Israel. A living memory, a space of survival and a record of success, Voice of Jewish-Russian Literature ensures the preservation and accessibility of the rich legacy of Russian-speaking Jews.